Foul-mouthed tax-dodging Irish multi-millionaire, Bob Geldof, has provoked a public backlash after abusing fishermen protesting against the EU that has devastated their communities and destroyed their businesses. 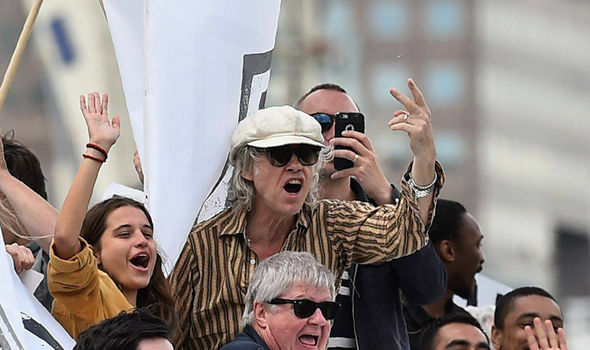 Geldof jumped onto a pleasure cruiser hired by the remain campaign to swear at and abuse the fishermen, some of whom had spent days sailing to London. While he was abusing the fishermen, Remainiacs in inflatable motorised dinghies sailed in front of fishing boats causing such a danger that the a police patrol boat had to chase them off. Unlike Geldof, our fishermen don't have a choice of mansions at home and abroad and millions of pounds in the bank to pay their bills so they have to work for a living and all the while the EU is undermining their entire industry. Geldof was such an obnoxious, disrespectful gobshite that the Labour Remain campaigners on the boat got off in disgust. On a boat with Bob Geldof and its awful. I may vote remain, but don't support jeering at fisherman worried about their livelihoods.